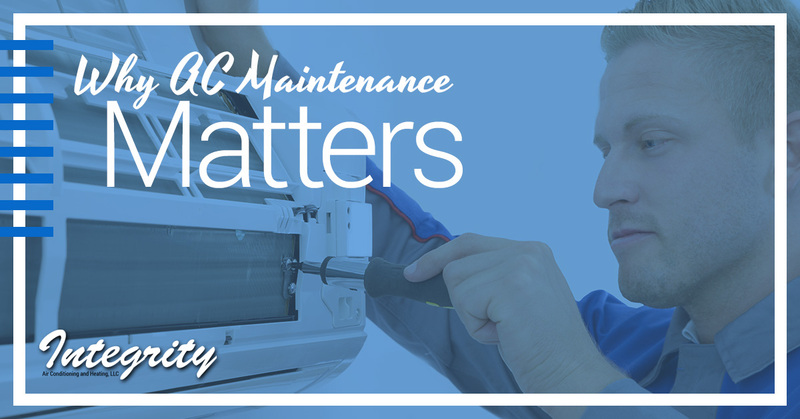 When it comes to your air conditioner, maintenance matters. #1. It keeps your air conditioner running efficiently. Regular maintenance allows your system to work as it was designed to — efficiently. However, when you don’t keep up on changing the filters and the other necessary maintenance tasks, your system just can’t function as efficiently, and it will lead to higher energy bills. While changing the filters is something you’ll want to make sure you do every month, annual, preventative maintenance by a professional is also important for keeping your energy bills at a reasonable rate. #2. It can help to improve the air quality in your home. Did you know that a leak in your air conditioner could cause mold or mildew to actually grow inside it? That’s right, and when you turn it on, you’ll be breathing in all of those lovely mold spores, which can make respiratory problems more severe. In addition to the possibility of mold growth, dirt, allergens and pollutants can start to build up inside your air conditioner, which are then dispersed throughout your home when you turn it on. This can have negative effects on your indoor air quality, and could possibly even lead to pricey doctor’s visits, but can be prevented with regular maintenance. #3. It can help you avoid the need for future repairs. When every part inside of your air conditioner is properly maintained and working as it was designed to, it drastically reduces the possibility of future breakdowns and other issues that require repairs. Air conditioning repair can be expensive, and since you don’t want to live without a working air conditioner for very long, you probably don’t want to put off getting the repairs that you need, but what happens if you aren’t financially prepared for a large repair bill? Getting your system maintained properly now will help you save money on repairs later, as well as avoid nasty surprises. Plus, maintenance gives our professionals time to thoroughly inspect your air conditioner, which allows us to catch and correct small problems that may not be so obvious now, but could turn into more disruptive and expensive problems later on. #4. It helps to extend the life of your air conditioner. In most cases, you can avoid the premature death of your air conditioning with regular maintenance. Just ask any air conditioning contractor. Chances are, they will tell you that one of the most common reasons why air conditioners fail before their time is a lack of maintenance. But it you make it a point to provide your system with the maintenance it needs every year, then you can actually extend its life, and you may even get more years out of it than its typical lifespan. The bottom line: air conditioning maintenance saves you money! 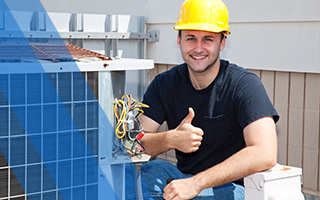 What do all of these benefits of regular air conditioning maintenance have in common? They all equal savings. Whether you are maintaining your air conditioner to avoid having to buy a new one prematurely, to reduce the risk of costly repairs, to keep your family healthy and out of the doctor’s office or to decrease your energy bills, Integrity Air Conditioning and Heating can help! We offer professional air conditioning repair, replacement and maintenance with honesty and integrity, just like our name implies. We also offer free quotes. Contact us today to get yours!